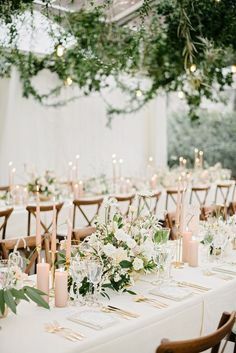 When it comes to planning a wedding, creating (and sticking to!) a budget is extremely important. Stationery is calculated anywhere from 3%-9% of your overall budget. 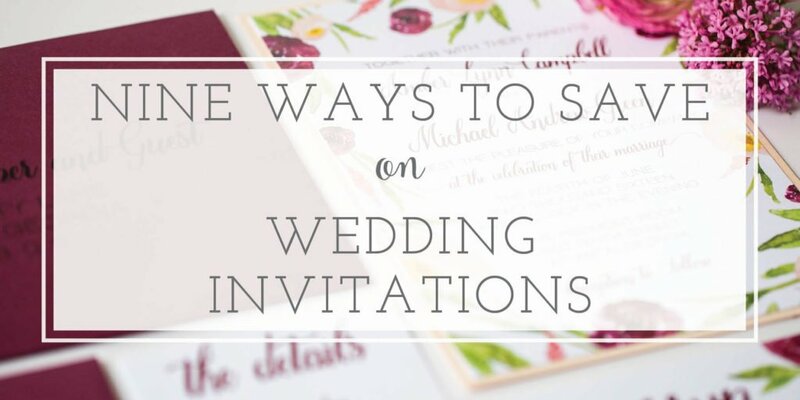 This includes save the dates, invitations, programs, menus, and thank you cards. 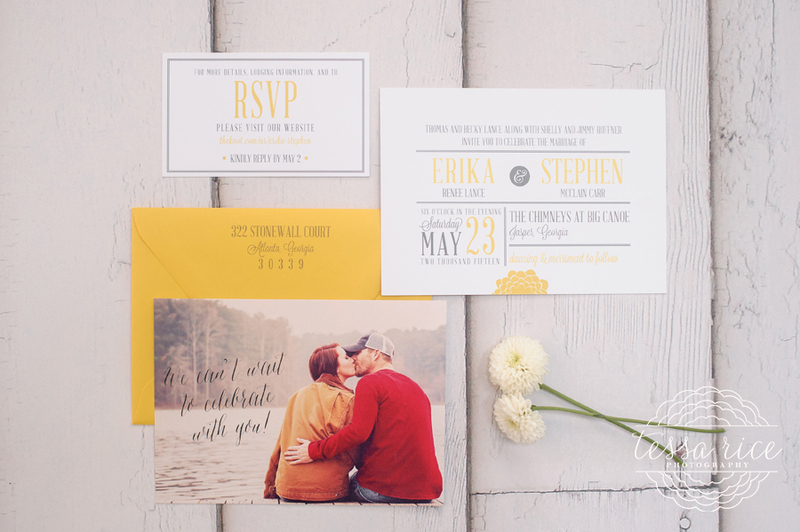 Why is your wedding invitation important? 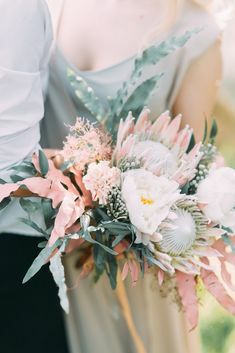 Not only is it one of the only things you actually keep from your wedding day, but your paper is the very first impression of your wedding to guests. 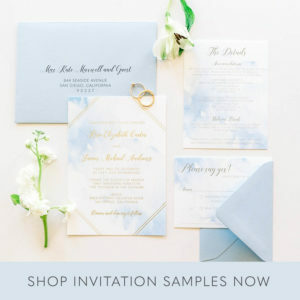 The invitation sets the tone of the big day and should give your family and friends an idea of what to expect. 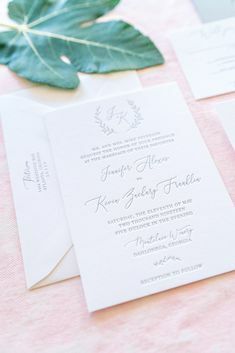 So, how do you make the most of your wedding stationery budget? No, I’m NOT suggesting an e-vite or to DIY (unless you REALLY enjoy that kind of thing)! 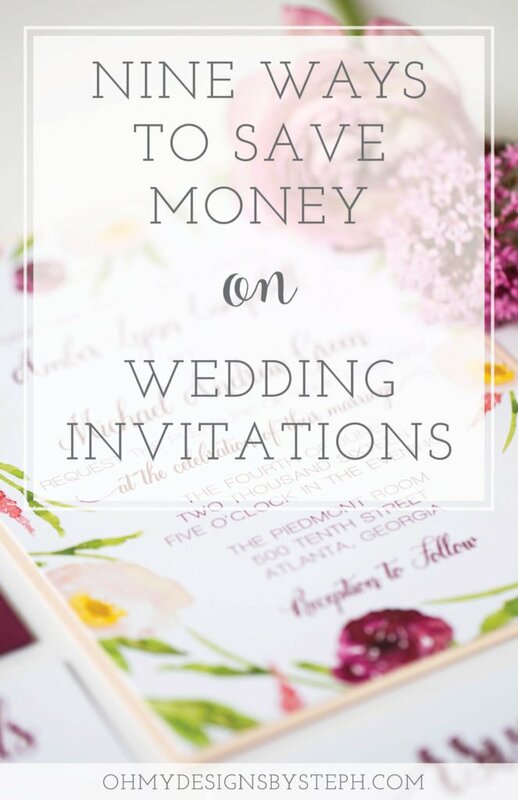 However, I have a few tips to save money on wedding invitations. Know what you want. Do your research and find a designer who is a good fit for you. By finding an artist who has a similar style to you, you’ll know what to expect and limit the number of proofs, emails, and meetings. 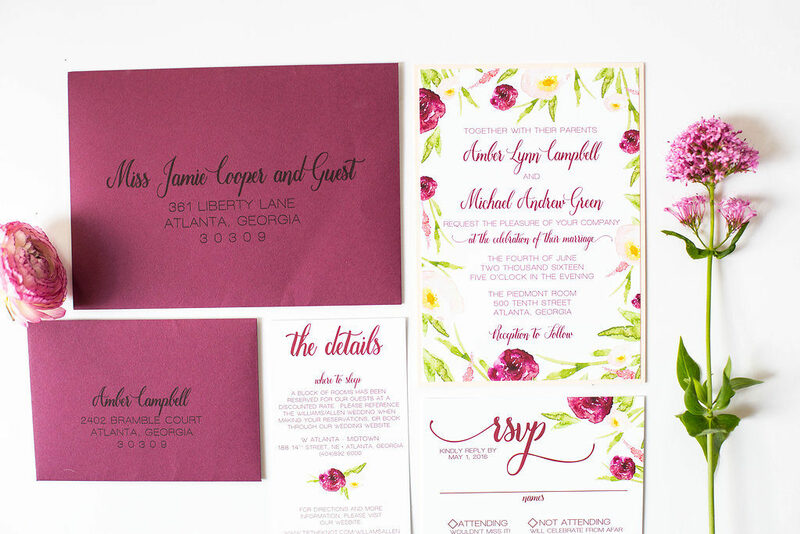 Have an idea of what you envision for your invitation from the beginning. Knowing what you want will definitely save you on time and stress, but also on cash. If you change your mind about colors, materials, or even quantity after the design process has begun, this can be costly. Modify an existing design. Rather than opting for a from-scratch, custom creation, choose to pick a design and modify it to fit your needs. Most designers are happy to work with an existing creation and change colors, fonts, wording, etc. If you want something new and completely unseen, expect to pay a custom design fee and allow extra time for your from-scratch design to be born! Pick a focus. Must have a thick, luxe felt paper? Then skip the silk ribbon. Obsessed with those gold leaf envelope liners? Then let that be the focus of the suite. Decide what is the most important and keep the other parts simple. 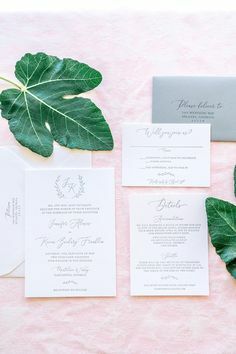 I love that each wedding invitation suite has it’s own focal point, but start adding too many and you’ll really begin to push your budget. Liners and twine and postage, oh my! Combine information to one insert card. Each additional insert card is an added cost. 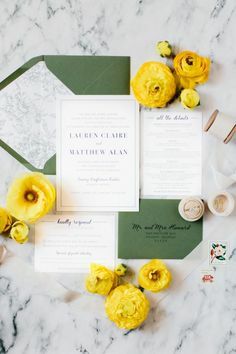 Instead of a directions, accommodations, and reception card, combine as much info as possible onto a single card. 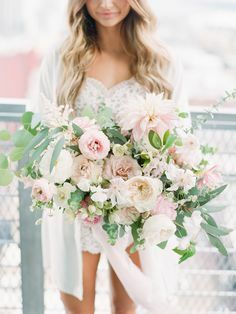 Have a wedding website. Following the above, leave the details to the website. 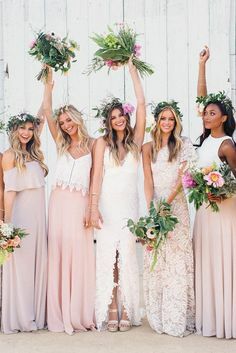 Do a single insert with some general information on getting to the venue and add “for more information, please visit our website.” On your website, you can list extensive directions, suggested hotel info, and any other details your guest might need. Order early.This tip will most definitely save you on stress, but also money. Ordering early ensures there will be no late or rush fees added to the bill. 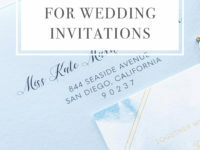 Invitations should be sent 6-8 weeks before the wedding and often need to be ordered 6-8 weeks prior to mailing. Remove or reduce postage. 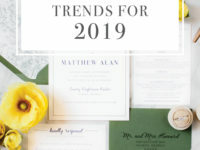 The typical wedding invitation comes with a response card and mailing envelope. 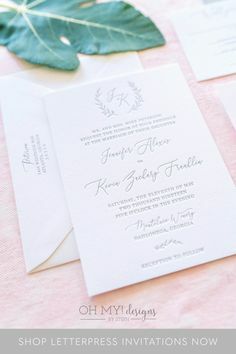 It’s polite to pre-stamp the RSVP envelope for your guests to use. Choose to forgo the card and envelope and have guests RSVP online. (See hint Number 5). This will not only save you on postage, but also from purchasing the envelope! 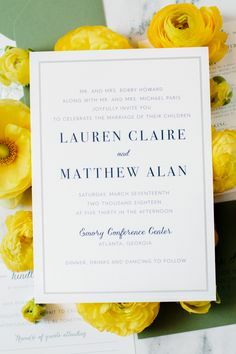 Another way to save is to select an RSVP postcard. Postcard stamps cost slightly less than envelope stamps and this also saves on the envelope. For the invitation itself, the US Postal Service requires a $0.70 stamp for any mail weighing over 1 ounce. Many invitations are well under an ounce, but some are not. If adding liners, ribbon, and multiple insert cards you are setting up to purchase the costlier postage. Limit the number of proofs. When you receive your proof, check over everything (spelling, grammar, information accuracy, spacing, etc) at one time. Then let the designer know what changes need to be made. 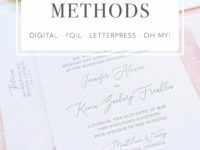 Often, wedding invitation packages are set up with a specific amount of proofs. Additional proofs can be an additional charge, so make sure to make all necessary modifications in one swoop. Read my tips on proofreading your invitation suite here. Ask! Find a suite you love, but think it’s out of your budget? Reach out and ask the designer if there is any way to customize it to fit your price point. There are possibilities to save in ways you may not even realize! 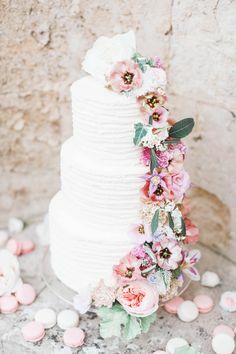 Have other tips to make the most of your wedding budget? Share by commenting below! Like these tips? Pin now to use later!